The recipe I have been promising is finally here! Mama’s Gluten Free Cuban Sandwiches! I created especially for this sandwich a delicious flatbread to use to make this really delicious sandwich. This is an outstanding sandwich and truly a special treat and now you can enjoy it gluten free too! A Cuban or Cubano is a sandwich that is made with marinated pork, sliced ham and pickles! Sounds like a crazy combination but it is good, trust me! If you are reading this post and were like me a couple years ago, you are probably thinking, “What is a Cuban Sandwich and what is so special about it?” Don’t feel bad, I would have asked the same question a year or two ago. Do you ever watch food network? I do all the time, you could say I am an addict, everything from the competition shows like Chopped to Pioneer Woman and everything in between. One fabulous evening I was indulging in my addiction and watching yet another episode of Throwdown with Bobby Flay. Bobby Flay is an amazing chef and there is no jokes about it. He not only is a TV celebrity chef, he is the owner and executive chef of several of his own restaurants, including Mesa Grill in Las Angeles and the beautiful Bahamas, Bar Americain in the big apple, New York City, Bobby Flay Steak in Antlantic City, and then several locations of Bobby’s Burger Palaces. In addition to all of all of his restaurant responsibilities he has time to film his show “Throwdown with Bobby Flay”. In this show he travels to different restaurants that are famous for their own signature dish. Then he challenges them to a throwdown. The restaurant owner or chef makes their signature dish while Bobby makes his version of the same dish with the hopes of making a “better” version. Then the two dishes go to a panel of judges who decide which dish is the ultimate best dish. Sometimes Bobby wins and sometimes the restaurant chef wins. It was during one of these episodes that I learned about his fabulous sandwich and was thrust into the challenge of my own, making this sandwich gluten free for me to enjoy and for each of you to enjoy. I confess, it was mostly for me to indulge my taste buds into what seemed to be a quite delicious sandwich the Cuban Sandwich or sometimes referred to as the Cubano. Let me tell you, I was NOT disappointed when I tried it. So first let me tell you about the Throwdown before we mention my recipe. I got the idea from obviously, the “Throwdown with Bobby Flay” tv show. It was the episode number: Episode: BT0712H. Essentially, if you search Bobby Flay Cubano throwdown then the information on the show will pop up. You can watch the shows on Food Network. Bobby Flays opponent in the throwdown was Cuban born chef Nick Vazquez. Nick immigrated to America in the 1960’s. He has a popular restaurant called Azucar. His restaurant serves up a variety of Cuban classics including his delicious “The Sandwich Cubano” or “Cubano Grande” the name on the menu at his restaurant. Bobby and Nick put on a great show cooking up their versions of the Cuban classic. No, I am not going to give it away who won the throwdown! You will have to watch it and see. But I will give you the versions of the recipes these great chefs created. Click here for Nick’s Recipe. In Nick’s recipe he makes the ham the star of the dish. He makes a great marinade and slathers it on the ham and marinades the ham the night before then bakes it and then adds sliced pork and lengthwise pickles and cheese. He then presses it together on a plancha, you at home would just use a Panini maker, and the cheese melts into the meats for a delicious sandwich. Bobby Flay squares up against Nick and puts out his best efforts and makes his version of this classic Cuban sandwich. Bobby makes the pork the star of his dish, making a delicious marinade and cooking it in a Dutch oven for about 1 1/2 – 2 hours. Then he made a delicious batch of home-made pickles for his sandwich and a delicious garlic aioli mayo and foregoing the cheese like Nick used. He also pressed his sandwich using a Panini maker. Click here for Bobby Flays Recipe. Now you will have to watch the show to see who won the throwdown between these two great chefs. Now the story isn’t over. Gluten Free Mama joins the seen and I made my version of this Cuban classic. After research, tastings of Cubano’s in restaurants and watching this show, I decided to make my roasted pork the star of the show. Unlike Bobby making his in a Dutch oven, I like to make my roast in a crockpot allowing it to cook on low heat all day until it is fork tender and just falls apart when touched. Now that is how to make a good pork! I also chose to use a traditional Cuban marinade but making sure there was plenty of garlic! The key to the marinade is making several slices in the roast and putting pinch of the seasoning mix inside each hole as well as all around the outside of the roast, and then filling each hole with garlic. I chose to just use deli ham as to top my pork and also used the lengthwise cut pickles. Seriously, texture is important, take the time to buy the lengthwise sandwich pickles instead of the circle cut ones. Not only is it more beautiful it just makes the texture in every bite that much better. I also made up a batch of fresh made flatbread to use to sandwich the meats together and slathered it with a delicious mustard aioli. I chose not to press mine with a Panini maker, but it doesn’t mean you can’t. It is traditional, so I will leave it up to you to choose to Panini or not. Let me tell you, I LOVED my version! See Bottom of flatbread recipe the photo of what the bread looks like. Sorry, I missed taking just a bread picture. Now you have the chance to make three different versions of this Cuban sandwich. Try mine first of course! LOL! I truly do hope that I have introduced you to a new favorite to your gluten free menu. Enjoy! In a small bowl, combine cumin, oregano, pepper, salt and cayenne pepper. Mix well. Prepare your roast. Make four to five slits about 1-2 inches deep on both sides of roast. Put a generous pinch of the seasoning into each slit. Then generously coat the outside of the roast with the seasoning, being sure to get into the folds too. You may not need all of the seasoning if you are using a 2-3 pound roast. Place roast into crockpot. Slice onions into wedges and put a slice into each slit. Then put a garlic clove into each slit. Put extra garlic and onions around the roast. Then add the entire juice of a lime and orange, drizzling it all over the roast. Add 1 cup of water around the outside of the roast. 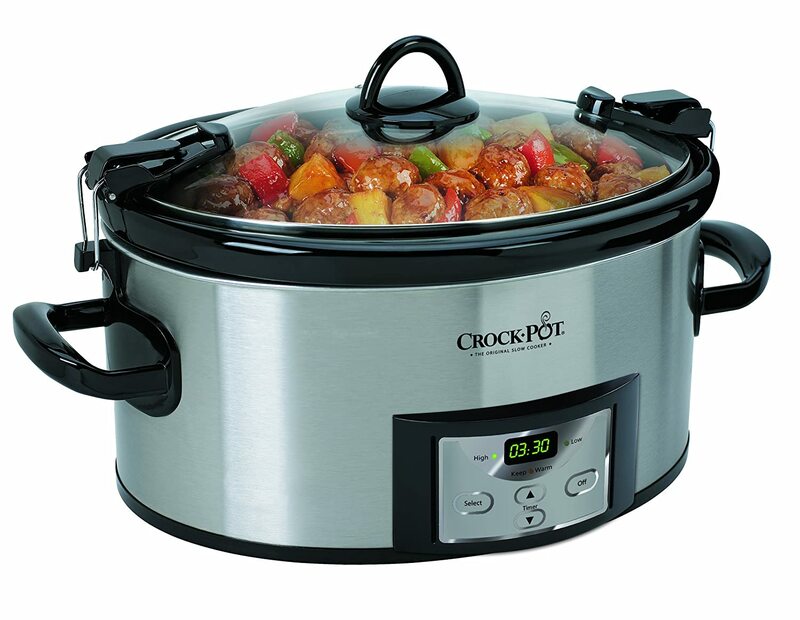 Turn crockpot on low and set it for 6-8 hours. If possible flip the roast a couple times throughout the day so it doesn’t get dried out on the top side. The roast is done when it is tender to the touch with a fork and falls apart. Some roasts are a bit tougher and may not just fall apart so easily, so check the internal temperature and make sure it’s at least 180 degrees. Using a fork pull-apart the roast into small pieces, or slice roast into thin slices. Make aioli. Mix together mayo, mustard, lemon juice and a pinch of salt. Put sandwich together. Using Mama’s Gluten Free Flatbread, place a generous layer of aioli on the bread. Then place 2 – 3 onion ring slices. Then put a generous layer of pulled pork and garlic if desired, top with a piece of deli ham or ham of your choice. Then place two pickles lengthwise over the ham. If desired place another layer of aioli on the top piece of bread. Place top piece of bread on top. Slice in half at sort of a diagonal. Enjoy. If you are using a smaller roast, 2-3 lb size, you may not need all of the seasoning. Just make sure each slit has a generous amount and the outside of the roast is covered. Use the same amount of the rest of the ingredients. If your roast is 8-12 lbs, double the recipe. In a liquid measuring cup, mix together warm water, yeast and sugar. Set aside until foamy. In a stand mixer, add flour, ground flaxseed, xanthan gum, salt and sugar. Mix to combine. With mixer running on low speed, slowly pour in yeast mixture, then olive oil, eggs one at a time and then the warm milk. Mix on high speed for 2 minutes. Scrape down sides of bowl and mix for another 30 seconds. Lightly spray a baking pan with cooking spray. Using a two inch scoop, scoop a ball of dough onto pan. Lightly sprinkle the dough with flour and make sure there is plenty of flour on your fingers. Press into desired shape. You can do round shape for traditional flatbread. If you are making sandwiches, you may want to press into a rectangular shape about 2 ½ inches by 5 inches. Press dough out to about 1/4 inch thickness or slightly more, but not as much as 1/2 inch thick. Allow to rise for 1 hour. Poke random holes with a fork. Baste with olive oil. 2 Inch Scoop, Click Here. Hi and thanks for the recipe! I'm making this for dinner tonight. Regarding the flatbread recipe, I am not seeing what temp I should bake them at so I am preheating to 400 degrees and will watch them closely. Yes 400 sorry! Wrote this out when I was still not feeling good. I will fix it. Yum! I have never had a cuban sandwich...then I watched "Chef" with Jon Favreau...and knew i had to try one at some point! Your version looks awesome Rachel! Thank you! I think you will like it! It is such a great tasting sandwich and was so much fun to make! I love watching Food Network - so addicting! My daughter loves The Pioneer Woman because she always wants to see the horses and cows lol! I made the flat bread today. My kids and I give it 5 stars as the best gluten free bread we have eaten. The entire batch is in danger of being consumed before it sees tomorrow morning for school lunch...YUM! WOW!!!! Thank you for such an amazing comment! That really made my day! So glad you and your kids enjoyed eating gluten free! Is there any way to make flat bread without yeast? Yes, but not this recipe, and it will be a slightly different texture. I will see what I can do for you soon.